Can you tell us what are all cardiac issues will be considered under atrial fibrialltion?something related to heart beat?please let me know? Answered By : Dr. Dhanunjaya Lakkireddy, MD, FACC, FHRS. Similar to percutaneous catheter ablation, atrial tissue remodeling continues for at least 8 weeks after procedure. In catheter ablation patients, the first 8 weeks is considered as the blinding phase where the recurrences typically do not have significant impact on the long term outcomes. Any AF after that is definitely considered as a recurrence. Three to six months is considered typically the healing phase. Although, there is a great likelihood that recurrence after three months is typically suggestive of failure to rhythm control with or without an antiarrhythmic drug. In the immediate aftermath of the MAZE surgery majority of the patients will be treated with an antiarrhythmic drug upto six months and as needed cardioversions to restore and maintain sinus rhythm until the atrial reverse remodeling is complete. However, there is no extensive definitive data on this subject. If you are not on any rhythm drugs I suggest you should be considered for one and attempt a cardioversion. Dear Ms. Johnson! Normally, the electrical activity of the heart spontaneously starts from the region of the heart’s electrical system called Sinus node which is sort of a built in internal pacemaker. This normally fires from 60-100 beats per minute. When your heart goes into atrial fibrillation the upper chambers can beat ineffectively up to 400-600 beat per minute. This rapid rhythm will automatically suppress the sinus node. When the atrial fibrillation terminates, the sinus node which has been suppressed takes a few seconds to recover. This slight delay in recovery to resume the heart’s electrical activity is what is termed as post conversion pause. Factors that will suggest if these conversion pauses are pathologic are not – age, was there any evidence of sinus node problems in the absence of AF, antiarrhythmic medication type and dose, and the severity of symptoms. A small percentage of elderly patients have underlying sinus node dysfunction along with AF – which is termed as tachybrady syndrome in medical terms. These patients exhibit severe slowing of heart rates along with rapid heart rates when they are in atrial fibrillation. The medications like beta blockers, calcium channel blockers, digoxin and antiarrhythmic drugs (flecainide, propaphenone, sotalol, amiodarone and dofetalide etc) can make their heart rates much slower exacerbating symptoms. There is strong evidence that once the AF is addressed the sinus node function seems to improve significantly. A study from Michel Haissaguerre’s group has clearly demonstrated this phenomenon in their paper in Circulation in 2003. I suggest you should probably think of AF ablation if your physician considers you to be an appropriate candidate. If you continue to have severe symptomatic pauses despite excellent rhythm control then you will need a pacemaker at that point. Yes, in some families AF is hereditary. This is still work in progress. Atrial fibrillation is traditionally regarded as a sporadic, nongenetic disorder. However, recent growing evidence points to an important heritable basis for atrial fibrillation, with significant genetic determinants. The role of genetics in atrial fibrillation pathogenesis and familial susceptibility has been studied by various studies. A recent analysis by Darbar and colleagues of 2610 patients seen in an arrhythmia clinic during an 18-month period revealed that at least 5% of atrial fibrillation patients and 15% with lone atrial fibrillation have a positive family history. Detailed epidemiological data from the Framingham Heart Study demonstrated that parental atrial fibrillation significantly increases the future risk for offspring . This study found that atrial fibrillation in at least one parent increased the risk of atrial fibrillation among 2243 offspring participants by about 85% after adjustment for known atrial fibrillation risk factors with even stronger results when age was limited to younger than 75 in both parents and offspring. In a population-based cohort study by Arnar and colleagues of over 5000 atrial fibrillation patients in Iceland, first-degree relatives of atrial fibrillation patients were 1.77-fold more likely to have atrial fibrillation than in the general population. How long have you been performing Pulmonary Vein Ablation of A-Fib? How experienced are you in it? I have been involved in AF ablation since my fellowship days. 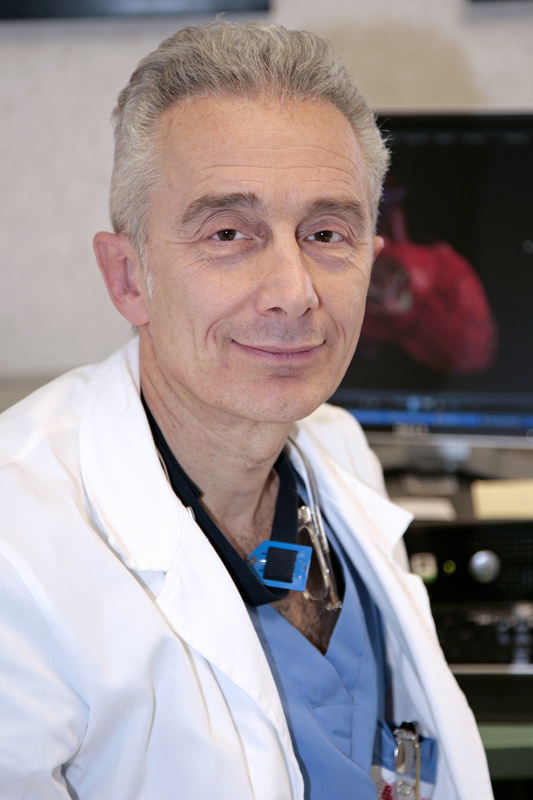 I trained at the Cleveland Clinic with Dr. Andrea Natale who ran one of the busiest AF labs in the world. I had the good fortune of being part of over 250 AF ablations during my fellowship years and I did about 300 cases in two years since my fellowship, at the University of Kansas Hospitals starting 2006. This is should give you a fair idea of what my experience levels are. Have you had any problems with swelling of Pulmonary Vein openings?" "How do you monitor for swelling of the Pulmonary Vein opening (called "PV Stenosis") after ablation? Pulmonary vein stenosis is the narrowing of the pulmonary veins. This can happen occasionally in patients after AF ablation. If the narrowing is severe > 70% and affects two veins on the same side they can impede blood return from the lung on that side of the chest. This can result in symptoms of shortness of breath, fatigue, coughing, blood in sputum. PV stenosis used to be a frequent problem during the early years of AF ablation when the radiofrequency lesions were placed either deep inside the vein or just at the opening of the vein. As the electrophysiology community realized this problem, the ablation points moved away from the opening of the vein. The current strategies involve doing circular lesions farther away from the opening either in the funnel portion (antral) of the vein are in the atrial body. The closer the lesion set is to the opening better is the confidence in the isolation of the veins. The farther we move away from the opening of the vein the more difficult it gets to completely isolate the vein. The current rates of PV stenosis range from 2-5% depending on the technique. CT or MRI of the heart are done to monitor for the PV diameters before and after the AF ablation. Any degree of stenosis should be followed by repeat CT or MRI scans to assess for progression of the stenosis. Ventilation/perfusion scans help to assess the physiologic impact of the stenosis on the lung perfusion. Pulmonary vein angioplasty and stenting are helpful in mitigating symptoms in patients with significant stenosis.